Quality early childhood resources for youngsters age 3-6, parents, and caregivers are essential for the success of individual children, their families, and ultimately the economic viability of our state. From birth until 5 years old a child undergoes tremendous growth and change. If this period includes support for growth in cognition, language, motor skills, adaptive skills and social-emotional functioning, the child is more likely to succeed in school and later contribute to society (Erickson, M. & Kurz-Riemer, K). Research has found that for every $1 invested in high quality early education, the public gets a return of at least $3 and some argue up to $12 in terms of less remedial education, lower crime, a reduced need for welfare benefits and better economic productivity (Grunewald & Rolnick; Lynch, 2004). 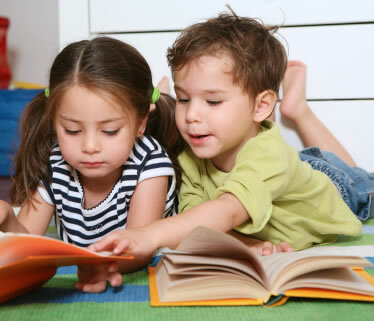 Utah Education Network addresses this need by creating Preschool Pioneer Library, an online collection of high quality educational resources modeled after the very successful Utah's Online Library for K-12, college, and public library patrons. As Utah’s educational technology network, and because of our relationship with PBS and other national providers, UEN is uniquely positioned to address the rising need for school readiness curricula and leverage existing infrastructure to achieve cost efficiencies. Through consortium pricing, Utah's Online Library resources are licensed at considerable cost savings. For example, the K-12 products would cost Districts $11-$17 per student if licensed separately. Through Utah's Online Library, UEN licenses these products for $1.12 per student. There is a critical need for increased early childhood education resources and opportunities for Utah’s preschool age children. 32 percent of 4-year-olds and 5 percent of 3-year-olds. Learn more about Research in Early Childhood learning. If you have questions or suggestions about this service, please contact us. If you would like to add the Preschool Pioneer logo to your organizations web site visit the UEN Logo Widgets page.